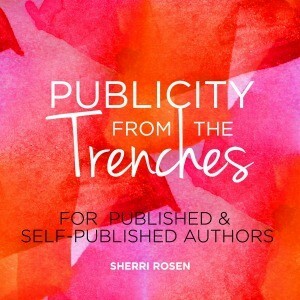 The following is a guest post by Sherri Rosen, author of Publicity From The Trenches: For Published & Self-Published Authors. If you would like to write a guest post on my blog, please send me an e-mail at contact@cecilesune.com. As you can see I am a publicist in NYC coming out with a new book in Spring 2015. Reason I wrote this book on publicity for published and self-published authors is because I saw a need, mainly because of the questions experienced authors and new authors consistently ask me. Many authors, not all, are great on the creative end of writing their book, but when it comes to the nitty-gritty business end and understanding the value of great publicity, many don’t have a clue. I put in this book many of the questions that are asked on a daily basis by these authors and the answers to many of the questions. It’s a basic book on publicity but giving you the knowledge and understanding of publicity, questions to ask, what to look for, understanding how powerful publicity is and it is simply written. I wanted to keep this book simple and straightforward because of our busy lives. The reader can open to any page in my book and find out great information that perhaps they weren’t aware of. If an author is contemplating working with a publicist for the first time, this book gives you the powerful basics and will prevent you from making major mistakes. I have been in the business since 1990, where my first client’s book when onto the NY Times Bestseller List for 63 weeks. Who heard of self-published books in 1990? And so expensive? So I learned all the rules and learned how to break the rules. This book was l0 years old when I did publicity on it, so that’s what I mean by rules are made to be broken. I’ve had my own business in NYC for over 17 years. Right in the heart of the publishing world. Having a passion for the work that you do is of the utmost importance. I work with people from all over the world who are doing wonderful things in the world, helping to make this world a better place. 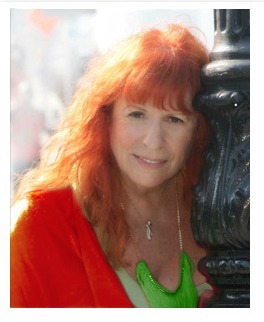 About the author and her work: Sherri Rosen’s Website.